The t-Lounge is an upscale, elegant place designed around the enjoyment and appreciation of fine tea; complemented by light snacks and tea inspired food and beverages. The t-Lounge by Dilmah is unique; in that our emphasis on tea is founded on our passionate commitment to tea as tea growers and a family business; established and headed by the world’s most experienced tea maker; the first tea grower to offer his tea direct to tea drinkers around the world. The t-Lounge offers casual visitors an inspiring ambiance with uniquely healthy and innovative tea and tea based drinks. Tea cocktails and mocktails enhance the appeal of fine tea made in thetraditional artisanal manner. These are served with cakes, pastries, crêpes and waffles that maintain the Dilmah commitment to nutritious, healthy and sustainable food. For the tea aficionado, Seasonal and Single Estate teas are exclusively available at t-Lounge by Dilmah, while tea education in cooperation with the Dilmah School of Tea, tea tasting events and a Leaf & Artisan Tea Society is dedicated to tea appreciation and tea inspired events for members. It has four key propositions for the guest. First fine tea, served hot, chilled, sparkling or in cocktails (where licence permits), mocktails or shooters. These teas are offered with casual, comfort food on the lines of salads, crêpes, waffles, toasted sandwiches, cakes and pastries, some of which have tea as an ingredient, many of which are paired with specific teas. Secondly these are presented for enjoyment on premises, whilst selected items including signature crêpes, waffles and teas are offered for takeaway. The third element is speciality tea retail with Dilmah t-series designer gourmet tea in particular, and Dilmah Gift of Tea additionally being offered for purchase at the venue. Ongoing tea sampling with at least two choices of tea can be sampled by guests for consideration of purchase, in support of the retail dimension. In smaller venues with less than 80 sq.m space, the speciality tea retail function would be designed around the venue ambiance and décor, with products offered for sale amongst ornaments and elements of venue décor. Larger venues could have a partially separated area for speciality retail. 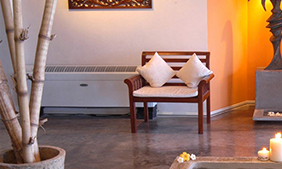 Two further dimensions which depend on the space available and ideally require in excess of 100 sq.m: with a limit of 180 sq.m for t-Lounges generally – are a tea tasting area for comprehensive (2 hour sessions) of the Dilmah School of Tea, t-Lounge module and an e-commerce aspect linked to the Leaf & Artisan Tea Society. 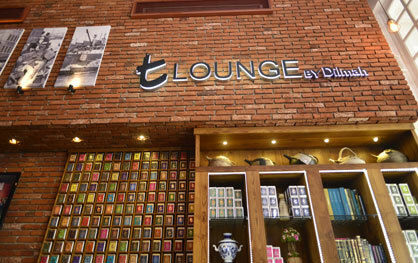 The t-Lounge by Dilmah offers the most comprehensive and authentic tea experience, which is especially relevant to the millennial generation which is leading a renaissance in tea--centred on the authenticity of tea and teas that are genuinely different. Dilmah as a tea grower is uniquely able to deliver on that promise whilst maintaining the integrity, ethics and authenticity of the experience and every element within it.